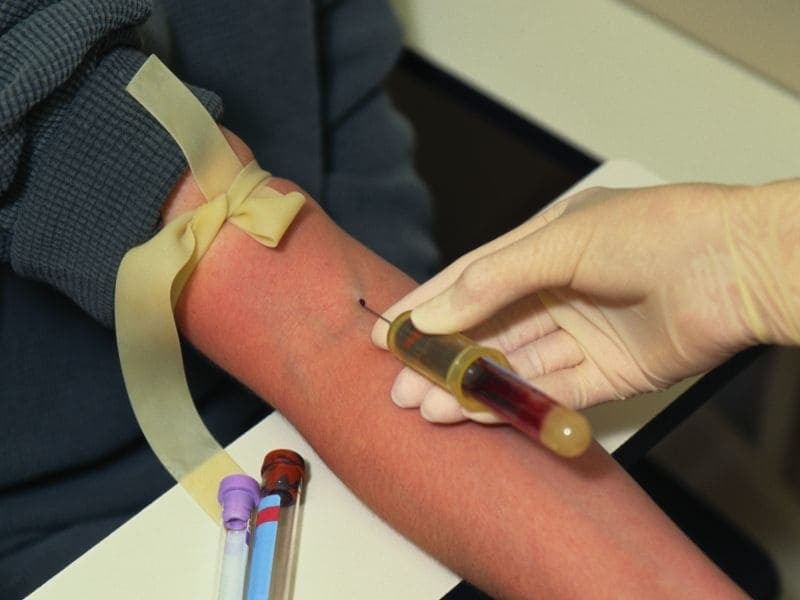 MONDAY, Jan. 28, 2019 (HealthDay News) -- Using a new blood test for pancreatic cancer alongside the current blood test may improve early detection and help screen people at high risk for the deadly disease, researchers say. The combination approach detects 70 percent of pancreatic cancers with a less than 5 percent false-positive rate, according to the team led by scientists at the Van Andel Research Institute in Grand Rapids, Mich.
"We hope that our new test, when used in conjunction with the currently available test, will help doctors catch and treat pancreatic cancer in high-risk individuals before the disease has spread," study senior author Brian Haab said in an institute news release. Because it often doesn't cause obvious early symptoms, pancreatic cancer is difficult to diagnose. In many cases, the cancer is at an advanced stage by the time it's discovered. Only 8.5 percent of patients survive past five years. Both blood tests measure levels of sugars produced by pancreatic cancer cells. The sugar measured by the new test -- sTRA -- is produced by a different subset of pancreatic cancers than CA-19-9, the sugar measured by the existing test. When used together, there's a better chance of detecting pancreatic cancers that may have been missed by one of the tests alone, the researchers said. On its own, the current CA-19-9 test detects only about 40 percent of pancreatic cancers. It's used to confirm a pancreatic cancer diagnosis or track disease progression, but not to screen for the disease. The higher detection rate achieved by the combination of the new and current test means this approach could prove useful for screening and early intervention, particularly in people at higher risk for pancreatic cancer, according to the report. That includes people with a family history of pancreatic cancer, those who've had pancreatic cysts or chronic pancreatitis, or those who were diagnosed with type 2 diabetes later in life. "We believe using these tests in a complementary fashion will help physicians detect pancreatic cancers much sooner in the disease process, which significantly improves a patient's chance for survival," Haab said. The results were published recently in the journal Clinical Cancer Research. Haab and his colleagues are conducting further research to confirm the effectiveness of the combination testing. The U.S. National Cancer Institute has more on pancreatic cancer.